Is It Possible My Ketogenic Diet Caused A High Alcotest Result In New Jersey? Could My Ketogenic Diet Have Caused A High Alcotest Result In New Jersey? How Do I Contest That? Yes, some diets, including very low carbohydrate or ketogenic diets, can confuse the Alcotest device by flooding the sensors with metabolic chemicals related to ketone use, rather than from blood levels of alcohol. While this defense can be difficult to prove, the key is building evidence that proves both that you are on a specialized diet that can have this effect on a alcotest, and that your body was likely producing excess ketones at the time of your arrest. In a defense like this, there are still opportunities for the prosecution to hit back. If they can prove that you’d been drinking prior to your arrest, even without Alcotest results, the observations of the arresting officer can be used to substantiate the charges. You need an experienced New Jersey DUI lawyer who can push back at both the Alcotest evidence and the observational testimony of the arresting officer. Call Matthew Reisig today at 732-625-9660 for a free consultation with a New Jersey Alcotest defense lawyer who has helped more than 1,000 New Jersey drivers avoid conviction. 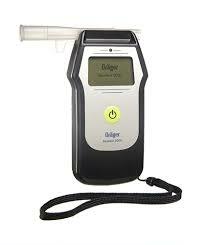 Next post: What Happens To Drivers Who Are Under 21 When They Get A DUI In New Jersey? Previous post: Can I Use A Cop’s Dashboard Camera Footage To Prove He’s Lying About My DUI Stop In New Jersey?